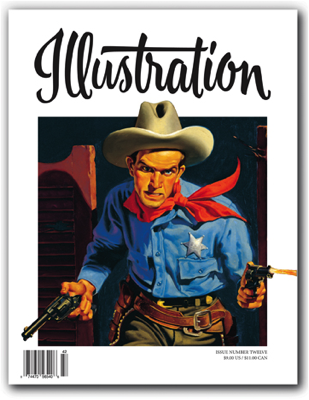 In this issue: The work of illustrator R.G. Harris, with dozens of reproductions of original artwork and rare tear sheets; a look back at the slick magazine illustrations of Harry Anderson; The Good, the Weird, and the Ugly Art of Bill Campbell, featuring rare sketches of his Weird-Oh models and other model kit artwork; Book Reviews, Events and Exhibitions, and much more! 80 pages in full color. Sold out.